Interesting problem. 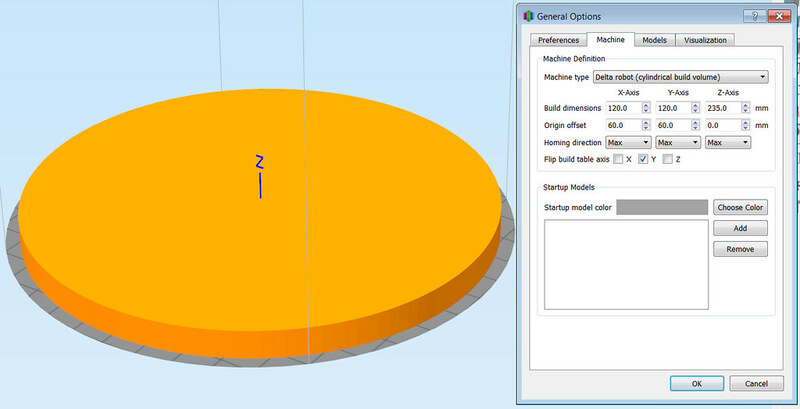 The machine build dimension graphic appears to be off scale with cylindrical build volumes / delta. In this image I have a 160mm disc setting on a 120mm build plate. this image shows the size of the part. Is this a bug or am I doing something wrong. I keep crashing into my glass brackets if I don't pay close attention. 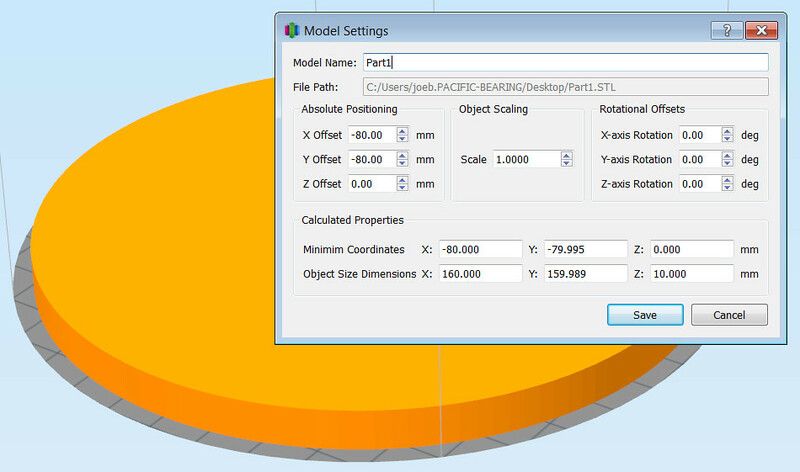 You need to set the X and Y dimensions to the size of the largest square plate that would fit inside your circular table. The attached image should make this very clear. Credit goes to user artexmg for the diagram. Thank you for that, very helpful.